All the street lights that light up our roads and highways add up to a sizeable portion of national power consumption. With solar street lights, we turn this problem around: the Soluxio Grid feeds electricity into the grid instead of consuming it. Whereas the Soluxio solar light post offers the perfect solution in locations that do not have access to an electrical grid, the Soluxio Grid offers the most cost-efficient solution for existing infrastructures. By refurbishing the streets of today with the efficiency and the aesthetics of Soluxio’s solar panel modules, the Soluxio Grid modernises infrastructure and enables energy neutral public lighting. The Soluxio Grid offers the perfect solution to the high power consumption of public lighting – and it does so in a cost-efficient manner. The Soluxio Grid feeds solar energy into the power grid during daytime and withdraws what it needs to light the streets at night. Every solar street light is equipped with the most efficient solar cells on the market (>20%). The solar street light does not need a battery and can be controlled by a lighting system of choice. Due to Soluxio’s unique, cylindrical solar panels, a beautiful look is achieved that will attract the attention. The Soluxio Grid street light is a scalable solution to the increasing demand for electricity. Zero CO2 emission during operational life due to 100% renewable energy. Made from easily recyclable materials. Grid-connected solar technology returns a net gain on energy. 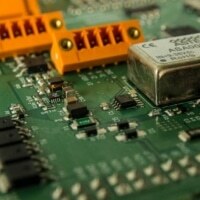 The Soluxio Grid feeds the power grid. Soluxio Grid works with your lighting management system of choice. The Soluxio’s cutting-edge design modernises the streets. Update your city or road to the world of tomorrow. Because the cylindrical solar panels catch light from every direction, the solar-powered street light can be placed in any orientation. This makes it easy to install. Its sleek design fits perfectly on every road, street or square. 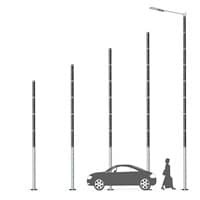 Whether you need to replace a conventional street light, or modernise a new street with a pre-existing power grid, the Soluxio Grid offers a cost-efficient solution to making the streets of today look like the world of the future. Furthermore, Soluxio Grid solar street lighting is made to withstand rough conditions. 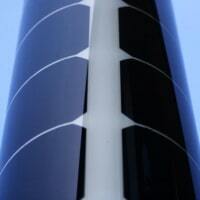 Integrated in the mast of the Soluxio Grid are Soluxio’s unique, vertically oriented solar modules, to which dirt or snow is unable to stick. All solar cells are laminated onto a scratch-resistant exterior that retains its sleek look and color during its operational lifetime. When reliability is key, aesthetics are important or carbon footprints need to be reduced, the Soluxio Grid is the product of choice. 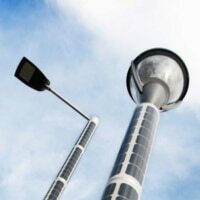 The Soluxio Grid solar street light has a clean and effective design. The use of high quality components ensures optimal operation and a long lifetime. Unique solar technology combined with advanced electronics and an efficient LED lighting fixture make the Soluxio Grid the most efficient solar lighting solution. The Soluxio Grid features unique patented cylindrical solar modules. The implemented solar cells are the most efficient in the market (>23%) and perform excellently at higher temperatures. Like a conventional solar panel, the cells are directly laminated onto the scratch resistant exterior. This increases both performance and durability and ensures no dirt or moist can accumulate in between the cells and their casing. Advanced electronics maximise the power output of every individual solar module. All strings of cells function independent from each other. This means that a solar panel with lower performance (for example, due to shade) does not affect the performance of the other panels, ensuring reliable operation under the harshest of conditions. The Soluxio Grid’s design allows you to adjust the light pole to your project’s precise requirements and geographical location. Soluxio Grid is designed to fit the current infrastructure. By optimising the mast height, color and finish as well as the type of luminaire to its environment, the street lighting can be made to fit the composition of every street. Additionally, integrating more solar panel modules in the individual masts increases their overall power output. Soluxio Grid enhances the streets. Mast height can be varied from 4 meters to 12 meters to achieve the optimum luminaire height. Based on the required power output and geographical location, the number of solar modules can be varied accordingly. Mast color and finish can be customised to your demand. Anodising or powder coating in various colours is possible. The solar modules are available in black and white, with custom colours available for larger project requests. Various luminaire types with a range of wattages can be fitted onto the Soluxio, so that a suitable solution for every location can be found. We also offer our own line of luminaries. In the table below, you can find the most important technical specifications and features of the Soluxio Grid. For more details and an overview of the certifications that the Soluxio Grid complies with, please visit our Downloads section. Are you interested in the Soluxio Grid or would you like to know more about it? Please send us your request in the form and we will contact you as soon as possible.